Easily the most hazardous threat to the health, strength, and safety of your trees is lightning strikes. 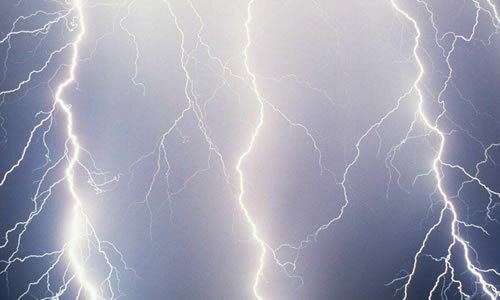 Unfortunately, the threat of a lightning strike also often proves to be the most difficult to anticipate meaning that the best way to respond to potential damage from lightning is to have professional arborists from Arbor Tree Care fit your trees with specialized lightning protection Redmond, WA systems. With these new installations and technologies tree service Redmond, WA experts can significantly reduce the risk of your beautiful trees being harmed, catching fire, or being destroyed completely which is good news for your trees, your property value, and your family’s health too. The best form of lighting protection in Redmond, WA is through a combination of strategically installed lightning rods and copper cables, both of which can be efficiently and expertly tended to by the tree service Redmond, WA experts here at Arbor Tree Care in a way that will cause no harm to the health or structure of the tree in the process. When it comes to lightning protection in Redmond, WA, systems like these help to ensure that any nearby lightning strikes are drawn to the highly conductive metal materials rather than the somewhat conductive organic materials like damp wood and foliage. When lightning protection services in Redmond, WA are performed by highly knowledgeable and reputable arborists like those here at Redmond, WA, you can be confident that the safety of your trees and home, as a whole, is much more assured than it ever could be otherwise. If you’re interested in learning more about what Arbor Tree Care arborists could provide in terms of lightning protection in Redmond, WA be sure to contact us today at (425) 381-4553 to book a free, in-depth estimate with the local expert tree service Redmond, WA providers in your neighborhood.